Valves are lanceolate with apices subcapitate to produced. The raphe and keel are strongly excentric. There is a large central nodule present. 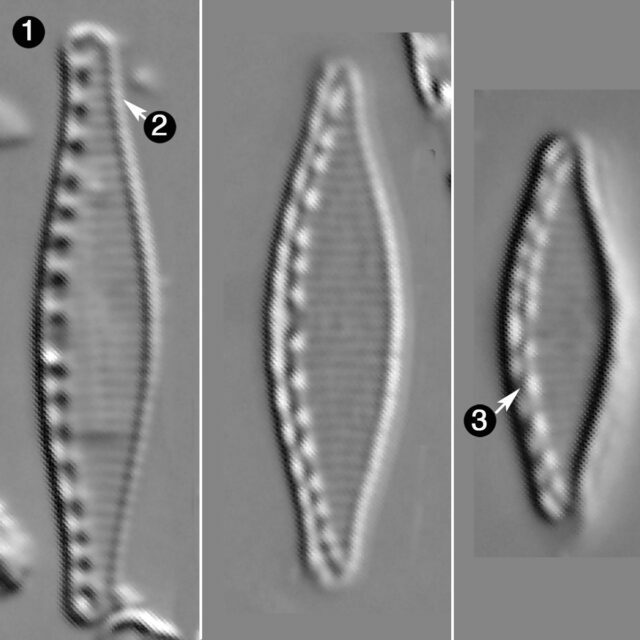 Fibulae are small about 13 in 10 µm. Striae are indistinct, not punctate. Sovereign, H.E. 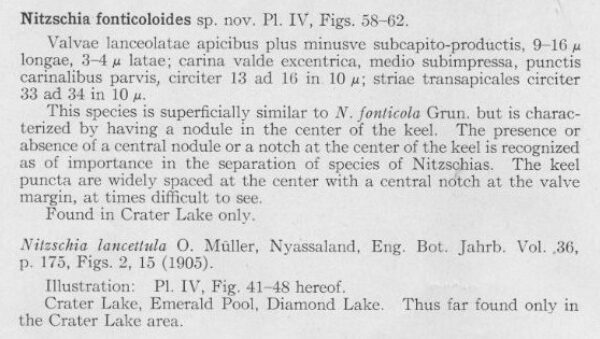 (1958) The diatoms of Crater Lake, Oregon Transactions of the American Microscopical Society 77(2):96-134. Valves lanceolate with subcapitate to subrostrate apices. A large central nodule is present. 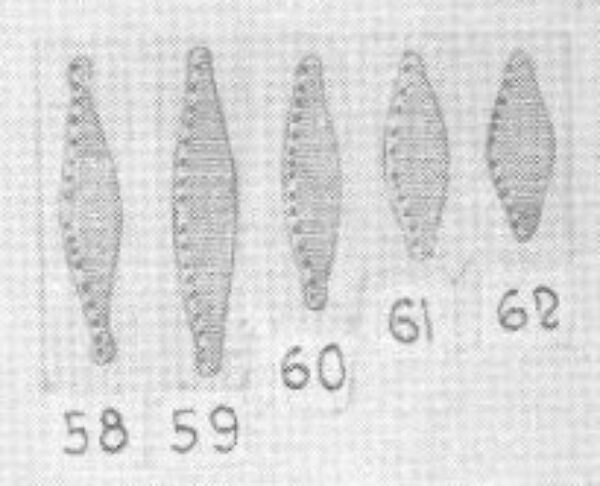 Fibulae are small and number about 13 in 10 µm. Striae are indistinct.